Movie Director James Gunn returns to direct Guardians of the Galaxy Vol 3! Great news movie lovers! Remember the old news that Disney and Marvel was going to keep James Gunn’s script for the upcoming Guardians of the Galaxy 3 movie? Take that news and upgrade it because it’s been confirmed by movie news site Deadline and IGN, that Guardians of the Glaxy director James Gunn will be back and direct the new Marvel movie. In addition, this means that he will be in charge of two superhero movies each from a different franchise. It’s already been announced that not only he will be involved with GotG 3, but he is already planning to do the second Suicide Squad from DC and Warner Bros. According to Deadline, Walt Disney Studios Chairman was persuaded after seeing James Gunn public apology for the controversial tweets. Crunchyroll and Adult Swim team up?! According to Deadline, it was thanks to these two that we got Mob Psycho 100 on Toonami and we had Blade Runner – Black Lotus. Live-Action One Piece in Netflix? If Bleach and Rurouni Kenshin can be live action, maybe One Piece can do the same? I found this from IGN saying that a live action One Piece series could be happening. Being done by Tomorrow Studios, a One Piece live action series will be happening and it will only be viewed by Netflix subscribers. Sot far there’s no new information, but according to ResetEra, One Piece if founded on Netflix with the plot synopsis. What is your opinion towards this idea? Again, IGN says seemly so maybe it could happen or not. What started in 2012 and started shows like the Flash and Supergirl, the TV show Arrow will be ending the series. Actor of Arrow/Oliver Queen, Stephan Amell commented that the series will be ending in season 8 with 10 episodes in this fall season. Whether you like Arrow or not, it was thanks to Arrow that we got DC shows connected such as Flash, Supergirl, Legends of Tomorrow and upcoming Batwoman pilot. All these shows are part of the same world which is commonly called Arrowverse. According to IGN, Black Lightning is also part of the DC comics world, but the TV show is not part of the Arrowverse. What’s your thoughts on this news? Created by webcomic artist ONE and illustrated by Yusuke Murata, the strongest superhero Saitama returns for another season. Announced yesterday, anime license company Viz Media announced that season 2 of One-Punch Man will premiere on April 9th at Hulu. If you plan to watch it, episode 1 will be released on the same day as Japan and you will need a Hulu account. I believe the anime will be subbed only for now until the anime will get an English Dub. 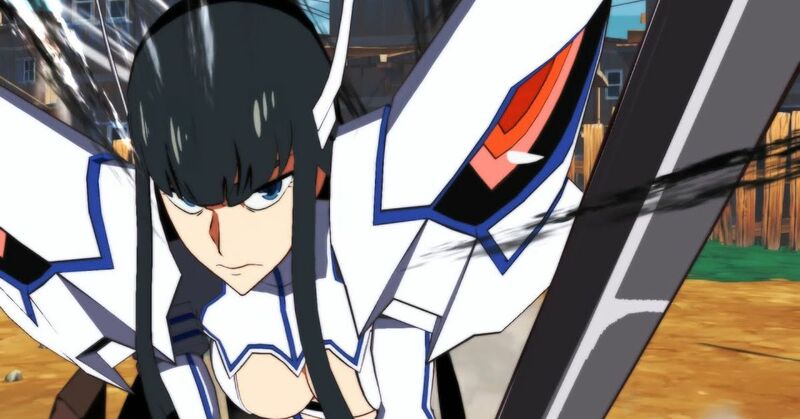 Kill la Kill game news: Game expands to other regions! Possible English Dub? Step aside Dragon Ball and Naruto games, another anime game is going challenge the anime gaming world! Today, I found some interesting news in regards to the upcoming Kill la Kill game, Kill la Kill – IF. First off, game publisher PQube announced that the Kill la Kill game is coming to not only in Japan, but also in Europe. No news for North America yet. Also exciting news is the possibility of a English Dub for the game. Revealed in tweet, someone asked the publisher team if the game will have an English Dub. In response, PQube stated that the game will have English Dub and subtitles for a fan’s preference. If you like Kill la Kill, you have the option of playing the game in English or Japanese language. Also, it’s unknown for a Spanish subtitles, but the team made a comment that it’s a possibility. There is no release date, but Kill la Kill the Game: IF is expected to be released for PS4, PC and Switch in this year. The game will be sold digital and physical copies and the same writer will be back with an original story. Will it have an English dub? 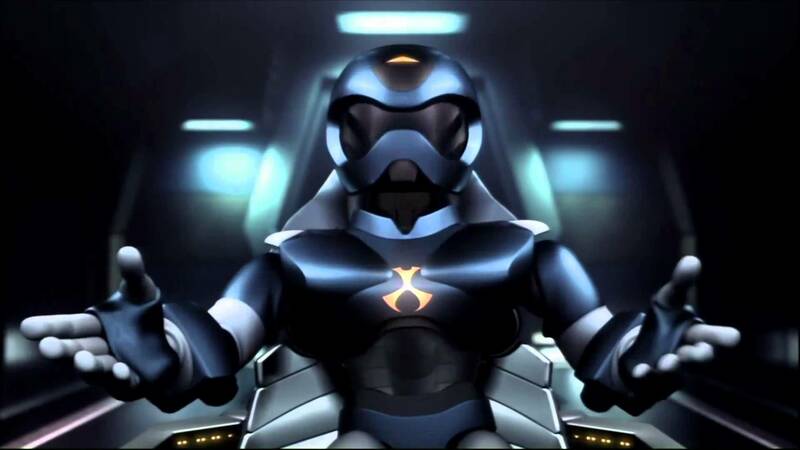 @alexvondavid and the rest at @BangZoom did an amazing job with that. Yes there will be an English dub and a sub. Today is Pokemon Day and what better way to start the day with an exciting new game! 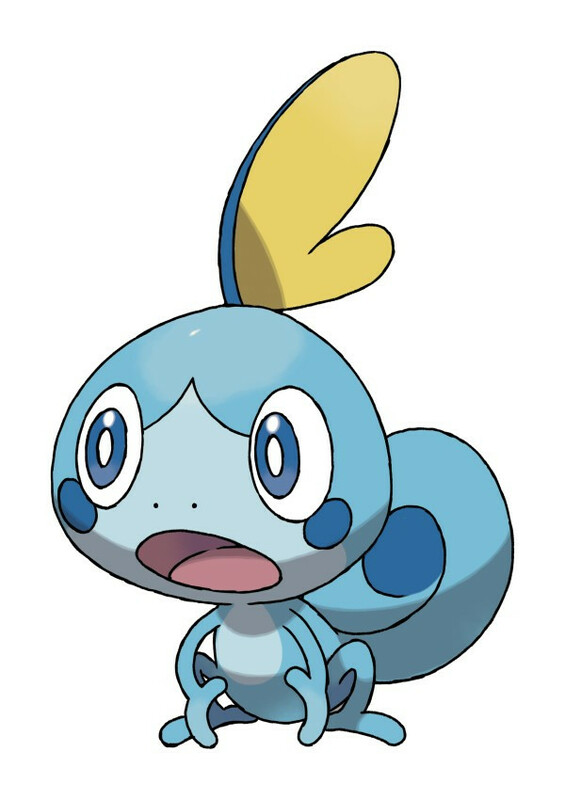 Nintendo unveiled the 8th generation Pokemon game and the game(s) is called Pokemon Sword and Pokemon Shield. These two games will be on the Nintendo Switch similar to Pokemon Let’s Go Pikachu and Eevee. 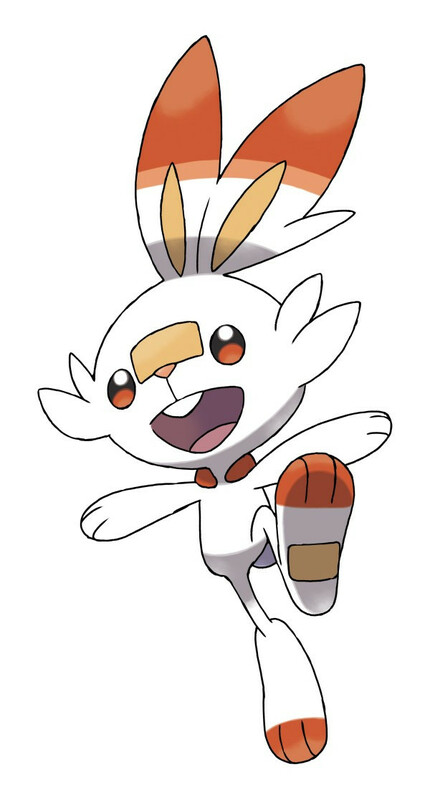 It’s only a bit of footage, but we got to see the first look on the starter Pokemon. 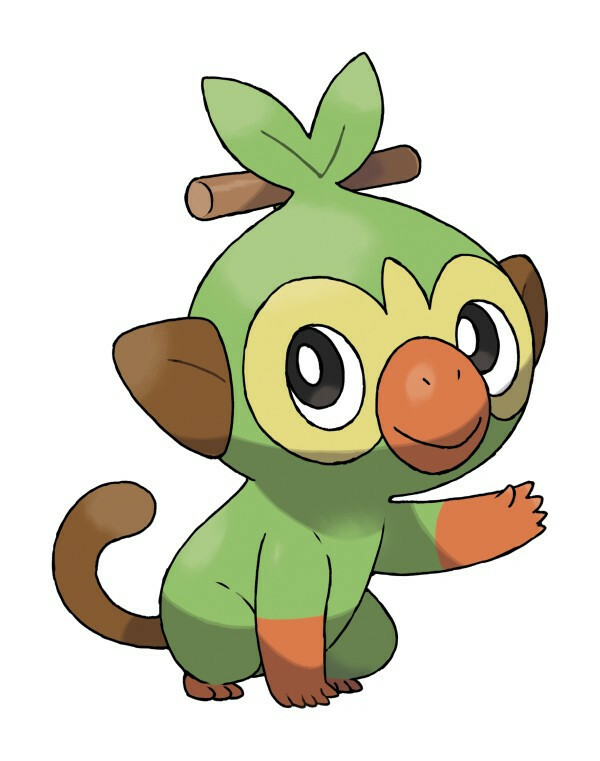 The grass type Pokemon is Grookey, the fire type is named Scorbunny and the water type Pokemon is Sobble. Somebody call the fashion police because One Piece is bring in some killer fashion! I found a recent update to the upcoming One Piece film ONE PIECE STAMPEDE in Crunchyroll news. The official One Piece anime site has posted up the “summer vacation” clothes for the 9 Straw Hat Members. 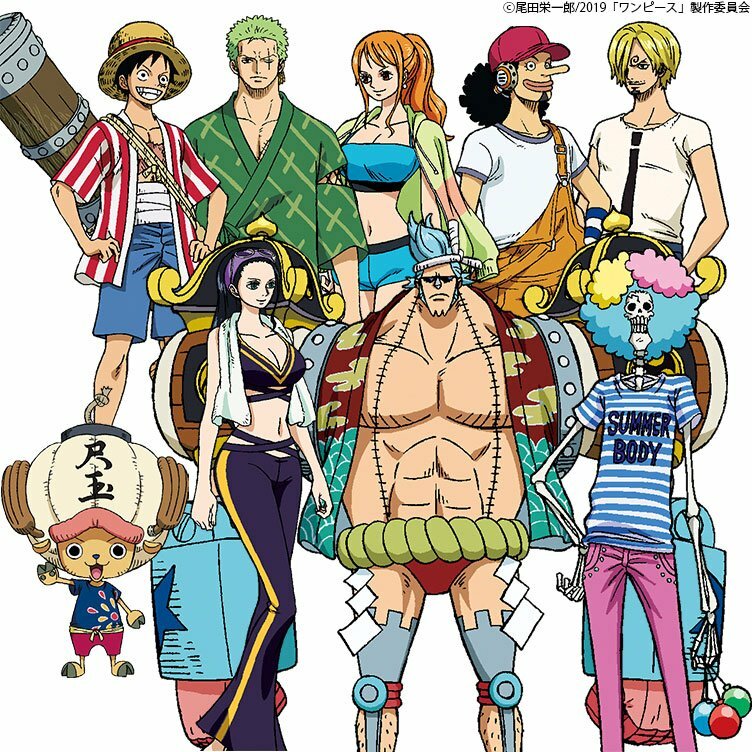 It’s pretty common for the Straw Hat crew to get new clothes which is evident in the past films such as Strong World, Z, and Gold. We don’t have any battle outfits yet to see, only the vacation ones. According to the site, the clothes was both designed by the anime staff and Japanese clothes company UT which is sold by Uniqlo. Last but not least, we also got a teaser trailer for the movie which shows returning characters like Law, Smoker and Buggy along with new characters named Bullet and Festa. It’s unknown what’s the plot but it has something to do with a festival and Gol D. Roger’s, The Pirate King, treasure. Are you guys excited for the movie? 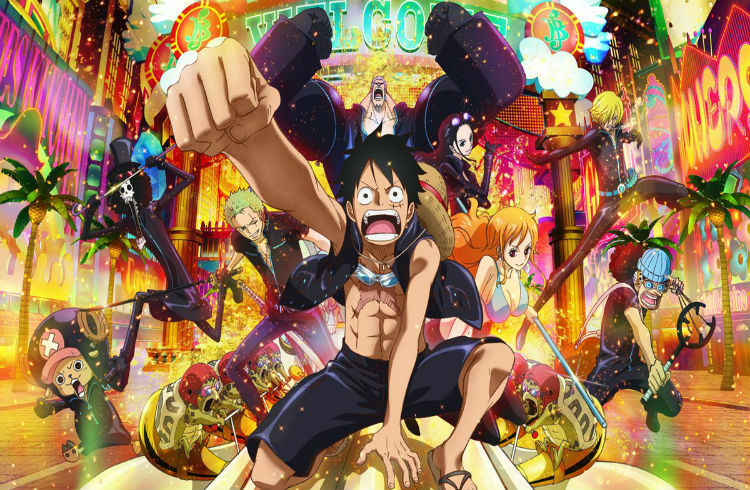 ONE PIECE STAMPEDE is the 14th movie and it will celebrate the 20th anniversary of the anime series. The movie is expected to be released in Japanese theaters on August 19th, 2019. Well, I bring you anime fans some bad news today. I found this news from Anime News Network. According to Anime News Network, voice actress Maeghan Albach recently passed away on January 22nd, 2019. This news was posted up today, Feb 25th. 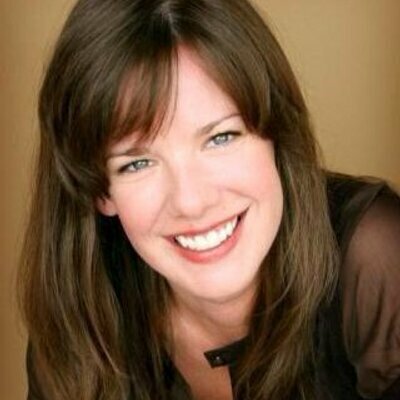 According to the site and IMDb, she has been involved with many anime in Funimation such as One Piece, Attack on Titan, Fairy Tail, Fullmetal Alchemist: Brotherhood and movies like Evangelion 1.0 and Summer Wars. She is a Texan resident and she has worked with Funimation for 13 years. She was 44 when she passed. According to IMDb, she voiced additional characters in One Piece and Fairy Tail, but with no specific character. In anime with a specific characters she was in Date a Live as Shiizaki and she was in Sekirei: Pure Engagement as Toyotama. If you want to know what other anime she was in, go check out her IMDb page. May God give her rest and comfort. Please donate to my Ko-Fi if you want to help support my site. Thank you.